More than 3 options here since we have such a diverse group of people who visit us in the pub. Andy Warhops continues to be a top seller. 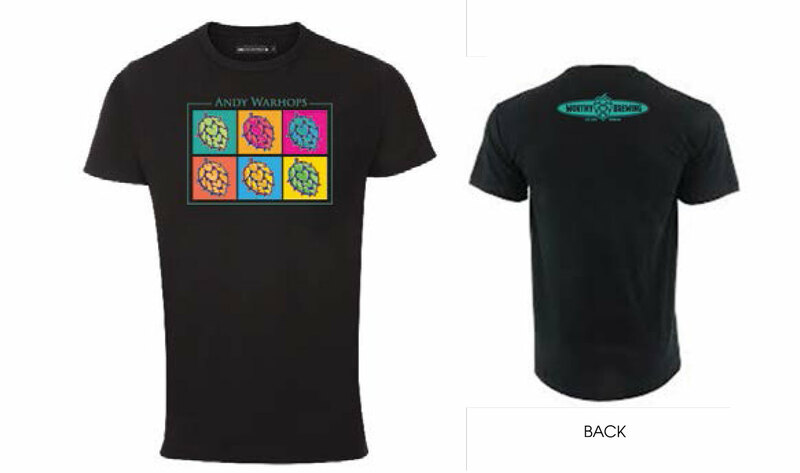 Andy Warhops - men & women versions, retail only. Kama Citrus Shirt - Used for Kama specific release parties and retail sale. 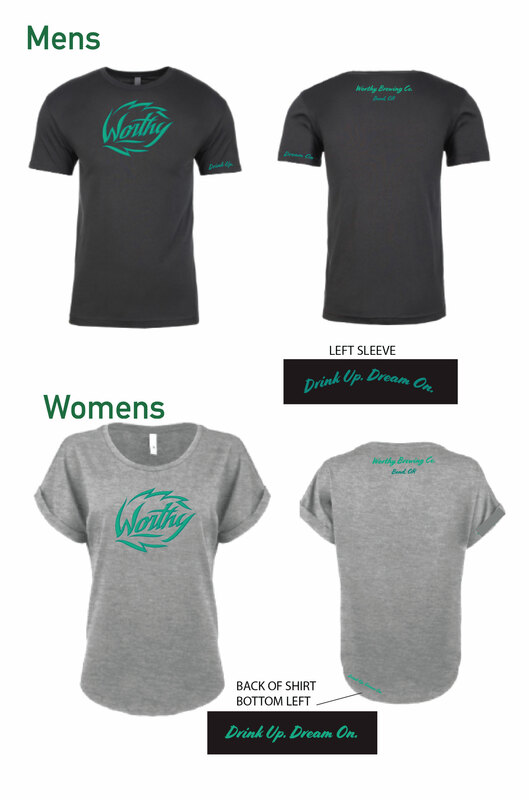 We have received feedback from customers wanting to see more colored shirts. This one sold pretty quickly. 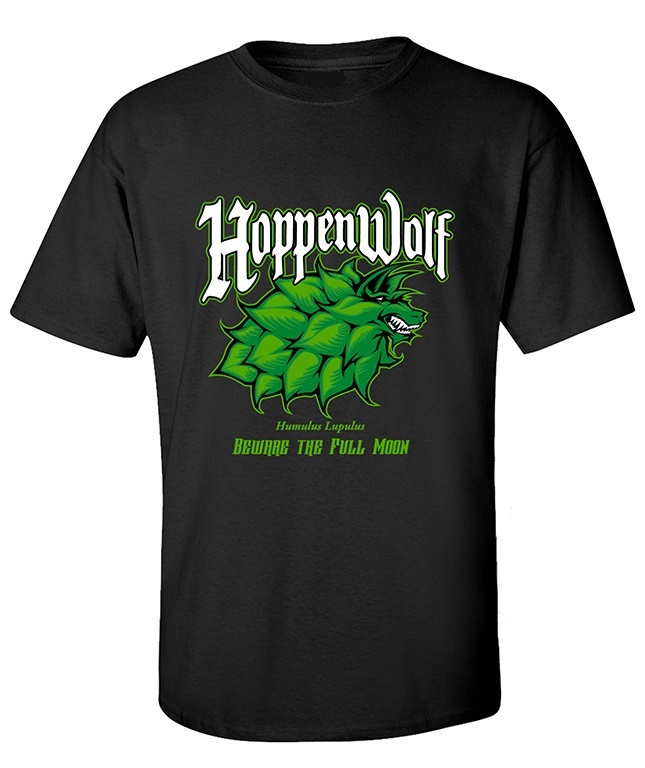 Hop Cone Shirt - Women are loving the grey flowy shirt. Currently only for retail. 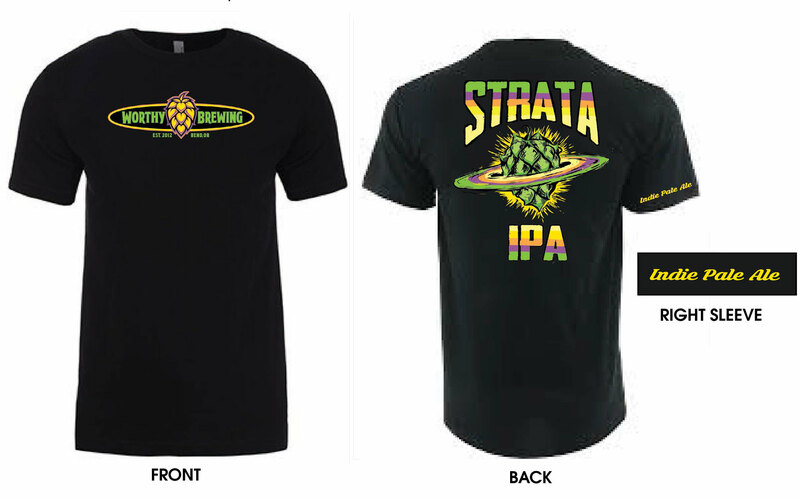 Strata IPA - I would like to see more Strata shirts, especially as we build momentum for the can release this fall. 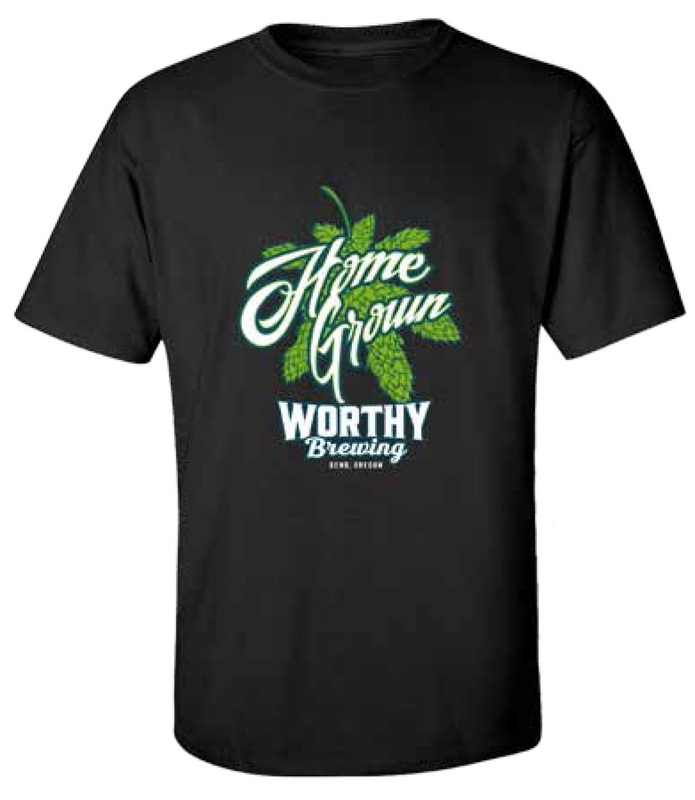 Worthy Logo - We use this shirt for swag and some retail. 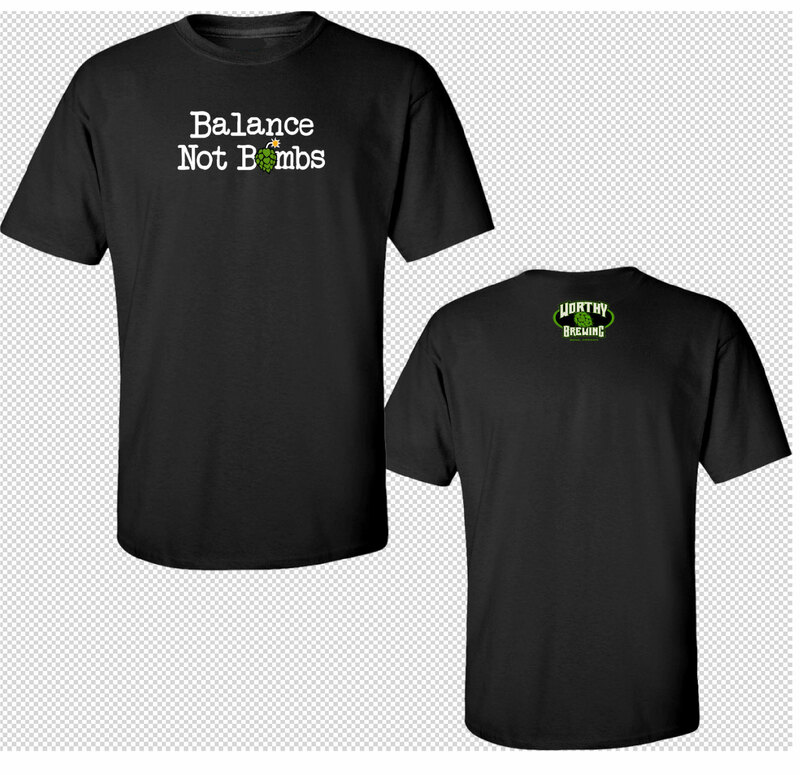 We will always need to have a low cost, single colored print option like this.